India’s largest selling car in terms of numbers, the Maruti Suzuki Alto, will soon get an under the bonnet update. The K10 engine will now feature a 4 cylinder arrangement after being phased out nearly a decade ago. During this time, you could buy the Alto with only a three cylinder engine. The updated car will feature the same body style as the present K10, but with the added power. Added power doesn`t mean it`ll be a really fast car, it just means a few bhp of added power to keep up interest of the customers. The new engines output hasn`t been revealed yet but it will be a tad bit higher then the 68ps of power which the present k10 generates at 6200 rpm. The motor belts out 90 Nm of torque at 3500 rpm. The k10 has a cable operated 5 speed gearbox but the new variant will have an option to get the AMT gearbox as well. 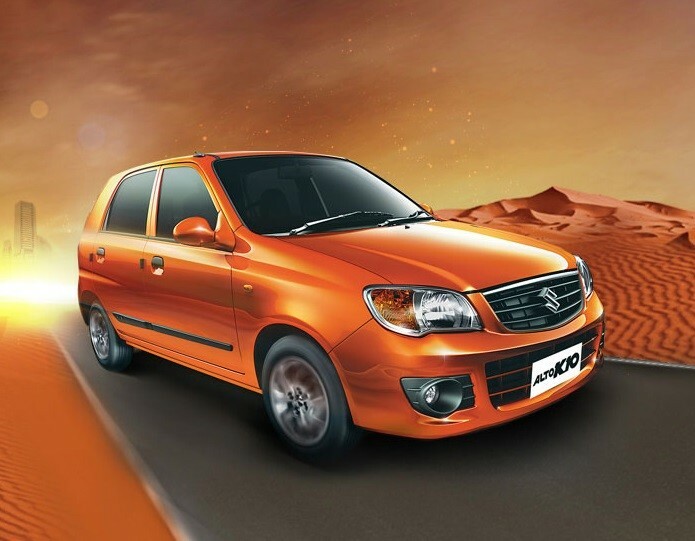 MS recently launched the AMT gearbox with the Celerio and has received good feedback on it. Apart from the engine the car will get a few exterior updates as well. They include a new grille, bigger headlamps and better design flow from the front to the back. Expect increased space inside the cabin as well. The immediate competition will be from the Hyundai Eon 1l which was launched last month. Maruti has this habit of saturating its own market but most of the times it works out well for the company. Presently the Alto has three models : The older 800 cc model, the 1l K10 and another 800cc alto with a different body style. The prices of all of these will be reduced by fraction to accommodate the newer model. This also puts added pressure on Tata to launch the Nano with the bigger engine to claim the position it deserves in the Indian car market. The diesel Nano if launched soon will definitely prove to be contender to not only the Alto but the Eon and the Datsun Go as well. This will be Marutis offering before it launches the Ciaz by the end of the year.